Some loosened seams which tighten on heating. A big vein runs most of its length. Tight-ish draw loosens after the opening third, but remains somewhat sluggish. Helter-Skelter smoke out-put. Cap/shoulder dilapidated a tick. Texture is smooth with straight-forward notes of wood beginning unkindly, then settling. Brownie, black pepper, chili powder, grains, compost. Nicely balanced sans transitioning. Goodly nuances once woods settle. "Although the word "puro" is in the name, Punch Gran Puro Nicaragua cigars are not puros by definition. While the high-priming binder and filler tobacco is from Nicaragua, the cigars are enveloped in a Connecticut broadleaf wrapper." Cigar Aficionado. 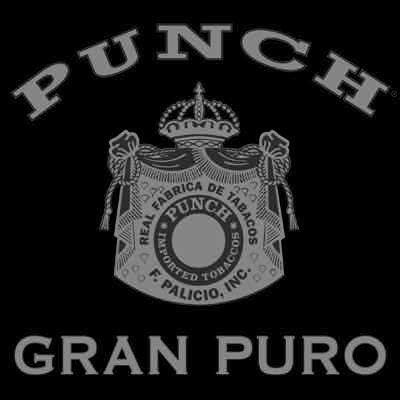 Thank-you bigly-so, to Cigars City for this Punch Gran Puro Nicaragua offering.